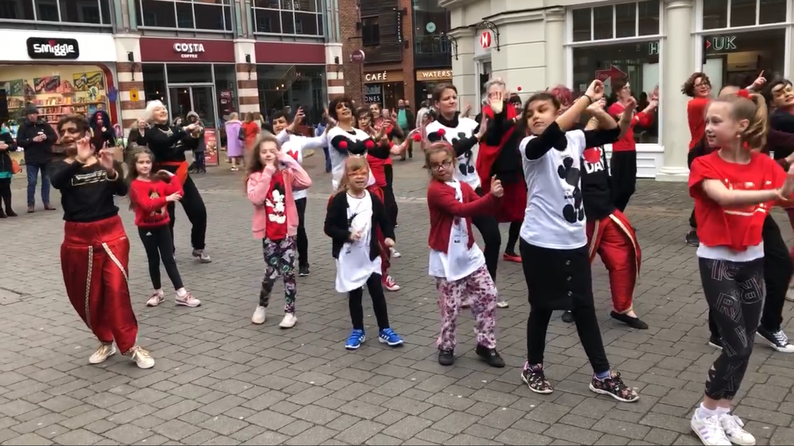 On Saturday 16th March the St Mary’s Bollywood Blast Club performed alongside members of the other Bollywood Blast dance groups as part of a fantastic flash mob to raise money for Comic Relief. The event took place in the middle of Canterbury on a very cold and windy day! Despite the weather conditions, each child performed amazingly. They actually carried out the routine twice, as well as taking part in a workshop in between. The event has raised over £1750 so far! If anyone would like to donate please find the event page on justgiving.com ‘Bollywood Blast Dance Flash Mob’. Well done Bollywood Blast Club!